GUNS IN AMERICA - Moore County Democratic Party - Be Part of the Process! 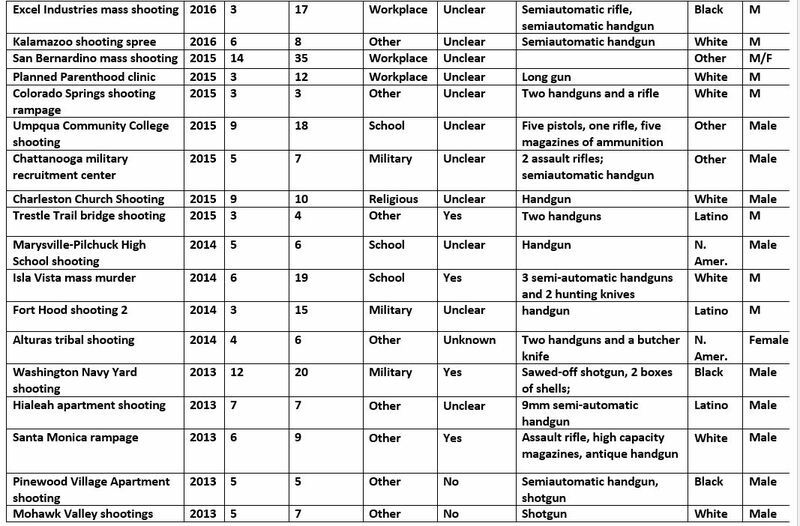 The following data is designed to provide a summary of exactly what we’re dealing with in America. Though the list is lengthy, it tells a story. 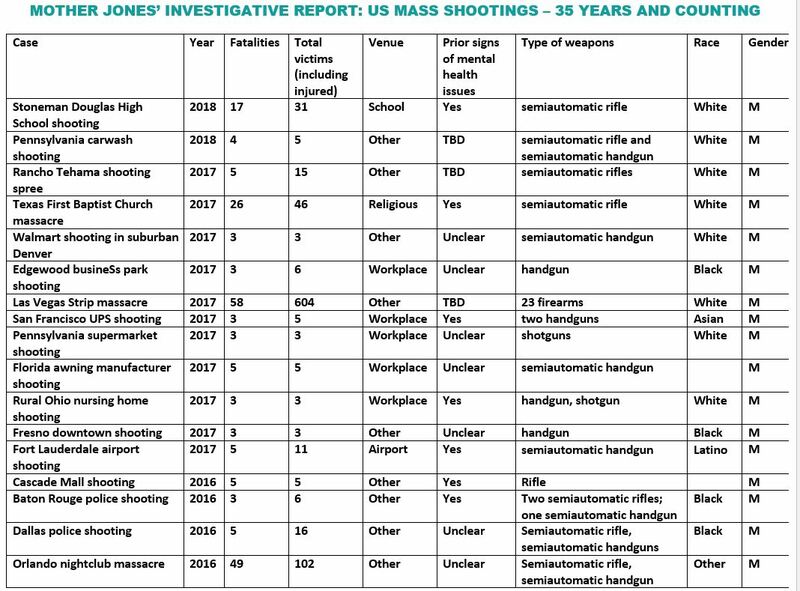 What are the statistics on gun violence so far in 2018? There have been at least 97 in the past 35 years – and most of the killers got their guns legally. It is perhaps too easy to forget how many times this has happened. The weapons: Of the 143 guns possessed by the killers, more than three quarters were obtained legally. The arsenal included dozens of assault weapons and semi-automatic handguns with high-capacity magazines. THIS DATA REPRESENTS A SUMMARY. TO VIEW THE FULL DATA SPREADSHEET, CLICK HERE.